Khloe Kardashian is a reality television personality who has featured on Keeping Up With The Kardashians, Celebrity Apprentice, Khloe and Lamar, and The X Factor shows. Their family show-Keeping Up With The Kardashians premiered in 2007. She also starred with her sister in Kourtney and Khloe Take Miami in 2009.
Who is Khloe Kardashian, how old is she, when is her birthday, how tall is she and what is her background? Khloe Alexandra Kardashian is a 34-year-old producer, TV personality and actress born on June 27, 1984. She is 1.77 metres tall. Her parents are Robert and Kris Kardashian. She has three siblings; Kourtney, Robert Jr. and Kim. Her parents divorced in 1989 and her mother remarried a gold-medalist Bruce Jenner (now Caitlyn) two years later. The marriage brought four step-siblings; Casey, Brandon, Burt, and Brody. Her mother, together with Bruce, also had two girls Kylie and Kendall Jenner. At just 18 years old, Khloe lost her father Robert Kardashian to oesophagal cancer two months after he was diagnosed. Why is Khloe Kardashian famous and what is her occupation? She is famous for starring in the reality show Keeping Up With The Kardashians that premiered in 2007. The show follows the lives of Khloe and her family members, ranging from their personal conflicts and love lives to their career pursuits. Khloe has earned a reputation for being bluntly honest and witty on the show. Apart from this, she runs a string of clothing stores known as DASH alongside her sisters Kourtney and Kim. They also design swimwear and jewellery, in addition to producing designs for QVC and Sears, together with running PerfectSkin and QuickTrim lines of products. She also created her own denim line called Good American. In 2012, she co-hosted The X Factor together with Mario Lopez. 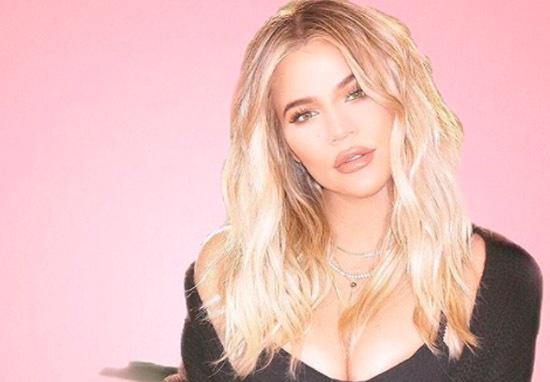 What is Khloe Kardashian’s net worth? Individually, Khloe Kardashian is worth $10 million as of 2016. However, in 2017 her net worth dramatically rose to $40 million. Where is Khloe Kardashian from? The American star hails from Los Angeles, California where she was born. Currently, she lives in Calabasas, California. How much does Khloe Kardashian earn? On the day her denim line, Good American, launched, it made her $1 million. A significant percentage of her 2016 income came from this line of jeans. Additionally, she made the fourth place on the Forbes list of highest-earning reality stars in 2016. Khloe and Lamar Odom also made $300,000 from their wedding. This was after they sold the exclusive rights to their wedding photos to OK! Magazine. How much does Khloe Kardashian weigh? Khloe’s weight has fluctuated over the years. She weighed 163 pounds in 2011, and after a rigorous weight-loss regimen, she shed 30 pounds. As of 2016, she weighed 133 pounds. After losing the weight, she started a show named Revenge Body where she helps people lose weight through clean eating and exercise. Khloe Kardashian is pregnant with her first child, that she is expecting with her boyfriend Tristan Thompson. She kept her pregnancy hidden for several months before revealing that she was expecting. She, Kylie Jenner and Kim Kardashian’s surrogate were all pregnant at the same time, too. Who is Khloe Kardashian dating, how long have they been dating for, what happened between Khloe Kardashian and Lamar Odom, why did they break up, how long were they together for? In 2009, Khloe got married to Lamar Odom, after dating for only a month. Their marriage was far from easy and was full of scandals that included Lamar’s drug abuse. They eventually finalised their divorce in 2016. She filed for the divorce in 2013 and dated other people including French Montana, a rapper, and James Harden, a basketball pro. Khloe has been dating NBA player Tristan Thompson since July 2016. Is Khloe Kardashian’s bottom real, what plastic and cosmetic surgery has she had? After losing weight, Khloe came back with a more prominent rear, and although people speculated over plastic surgery, Khloe swears it is the daily squats doing their magic. She has even proved this by going to the doctors to get a scan in an episode of Keeping Up With The Kardashians. Though Khloe denies having any plastic surgery procedures done on her body, her nose appears more contoured than it was several years ago. She has also been rumoured to have had dermal fillers to plump up her lips, but she has not confirmed this herself. Why did Khloe Kardashian go to jail? Khloe was made to spend three hours in jail after a DUI in March 2007. The reason she got an early release was overcrowding. She had been sentenced to a 30-day jail term and was made to attend an alcohol treatment program. Is Robert Kardashian really Khloe Kardashian’s father? In 2012, there were rumours that Robert Kardashian was not Khloe’s biological father. This was fueled by her former stepmother’s allegations that Robert had told Kris said Khloe was not his daughter. However, these rumours are untrue. A paternity test was carried out, putting the rumour to rest, and the ordeal was recorded to feature in Keeping Up With The Kardashians.